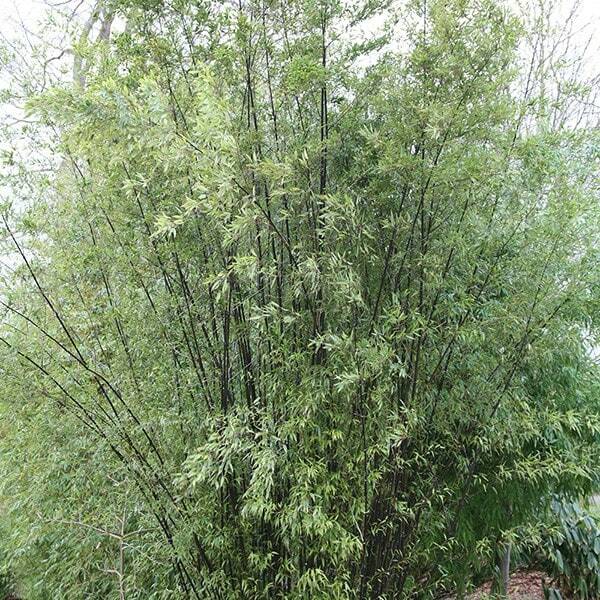 One of the most elegant bamboos, with polished, damson-black mature canes and dark green leaves. The slender, arching canes, which are dark green for the first two or three years, look perfect in a contemporary, minimalist garden particularly if the low-growing foliage is stripped. 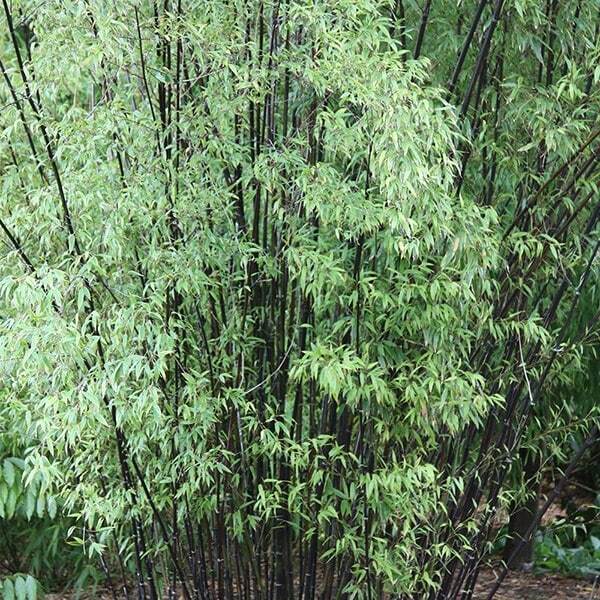 Although this is not one of the more vigorous and invasive bamboos, it is advisable to restrict the roots using a rigid, non-perishable barrier to prevent the plant from colonising adjacent plantings. Garden care: In smaller gardens surround the roots with a non-perishable barrier that restricts the plant's spread. Water regularly until established. 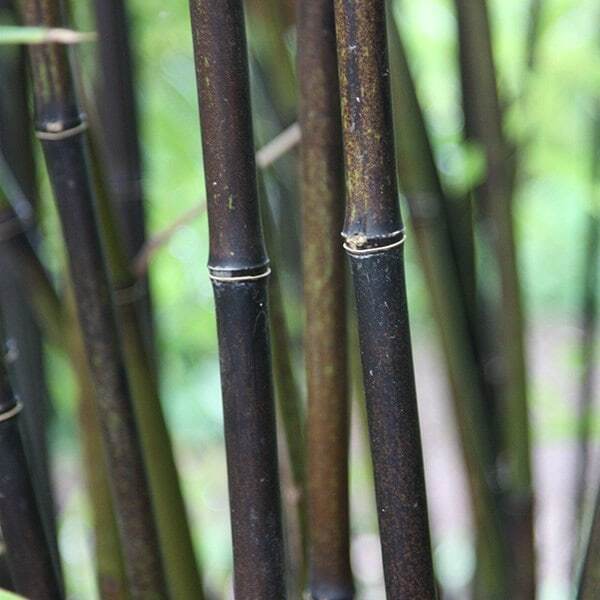 Bamboos do not like competition, so are best planted en masse in a designated area of the garden.